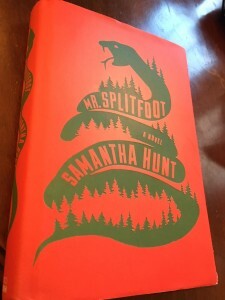 I’ve been writing about Samantha Hunt’s Mr. Splitfoot this afternoon and thought I’d share what I think is an absolutely fantastic jacket design. This is by Strick & Williams. More of Charlotte Strick’s designs can be seen here. She’s done a lot of my recent favorites, in particular Jeff VanderMeer’s excellent Southern Reach Trilogy.